Unique and rarely available Sequoia Village condominiums. 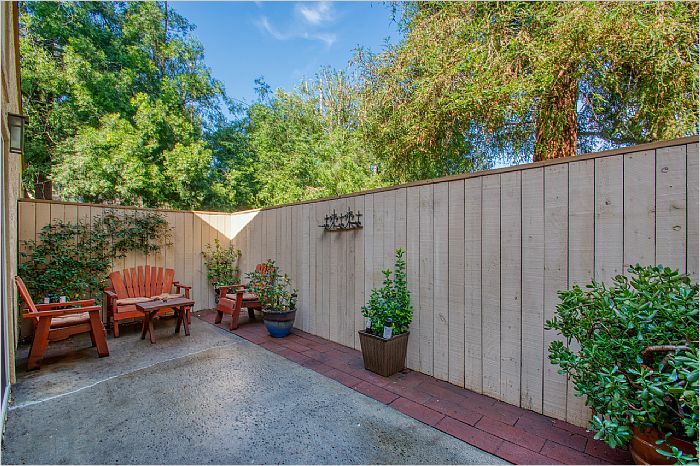 Upgraded lower level two bedroom with large tree shaded private patio. 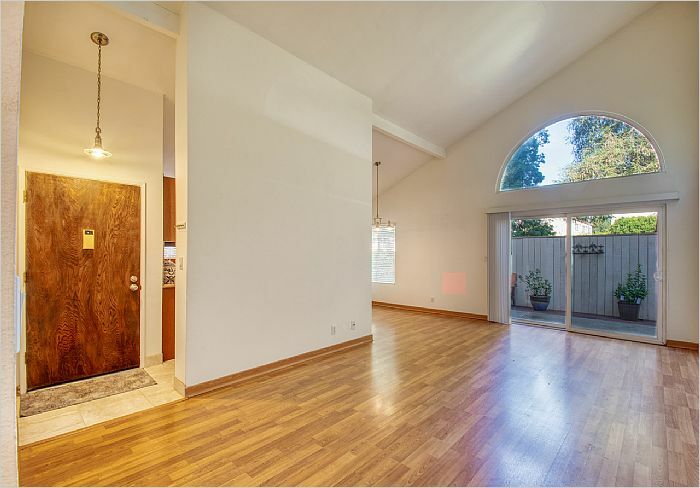 Spacious open floor plan with dramatic vaulted ceiling living and dining rooms. 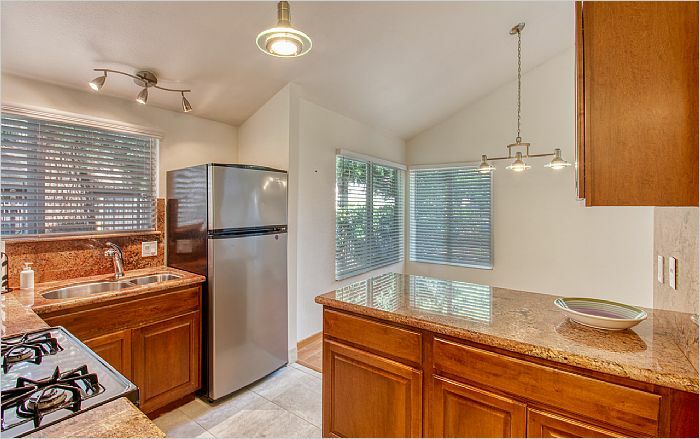 Newer custom kitchen with dark wood cabinetry, granite counters and stainless appliances, including refrigerator. Master bedroom with dressing area and two mirrored wardrobe closets. 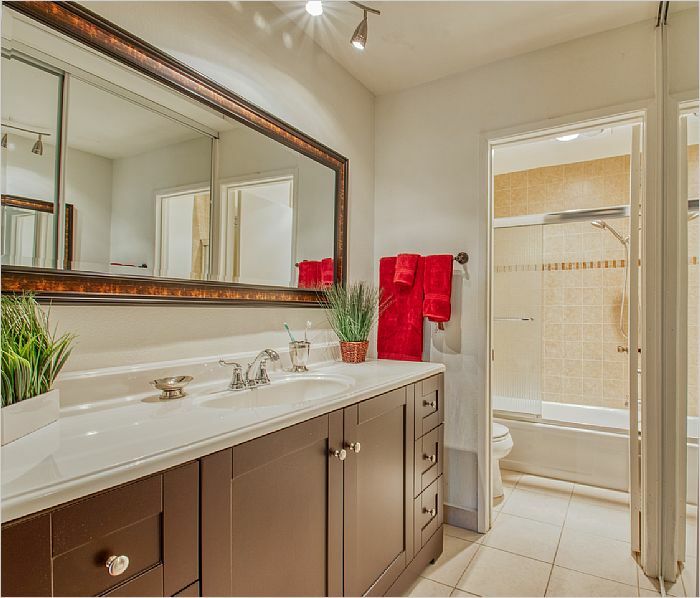 Upgraded baths with newer vanities, hardware, lighting and tile flooring. Other features include: full size washer dryer, newer water heater and heating and air unit, gated and covered two car parking. 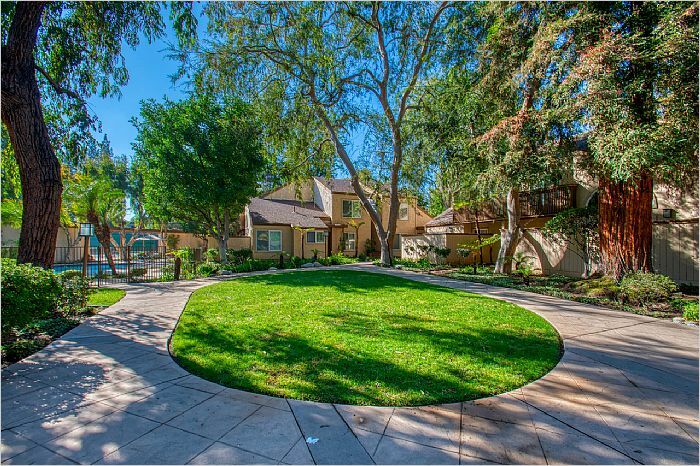 Association features include: pristine park-like landscaping with abundant mature trees, nearby resort style pool and spa, tennis court, earthquake insured and professional management. 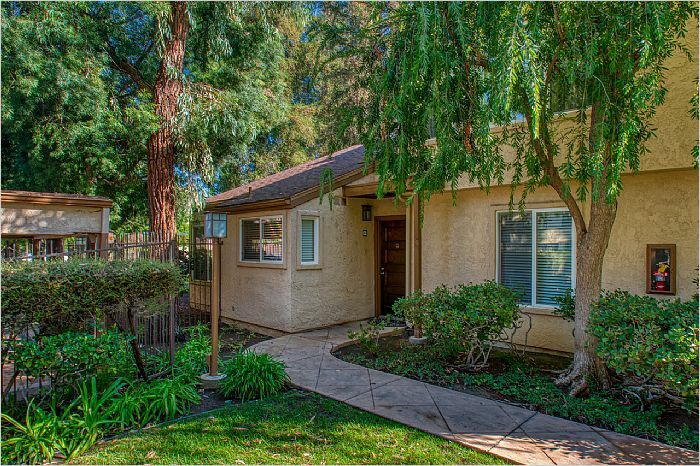 Conveniently located minutes from 101 freeway as well as the Village at Warner Center, Costco, Topanga Plaza and numerous dining and entertainment options. 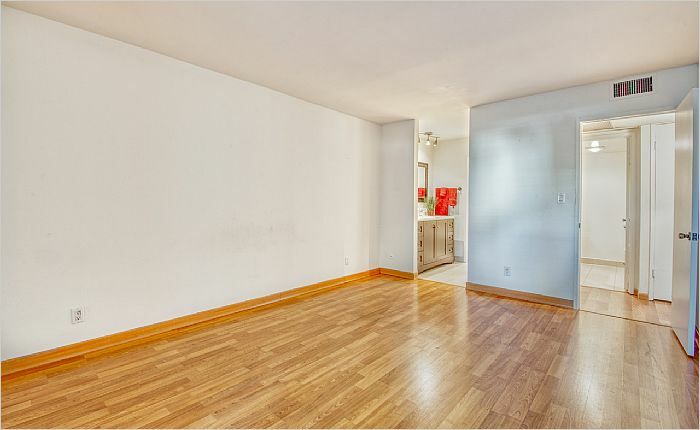 A condominium with the feel and appearance of a private home. Newer custom kitchen with granite counters.